These covers are great. 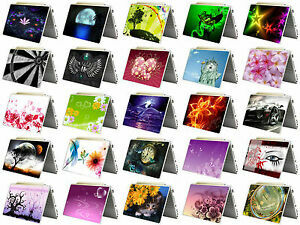 They are easy to customize - easy to install - great colors - and really make a laptop stand out. Everything I expected. The only other thing that could make it better is if there could have been some spare sticker to go around the mouse pad area. Easy to apply. Nice quality. Good customer service.